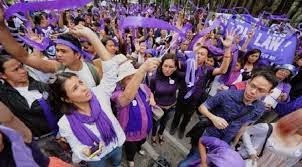 The battle over the RH Law that was just subjected to a vote in the Supreme Court ought to be viewed in the light of the coming visit here later this month of US President Barack Obama, and his administration's continued advocacy to push a rigid population control policy especially in Third World countries. 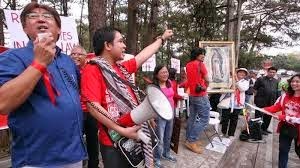 Experts who have followed the fate of the RH bill in the Philippine Congress over the years have noted the acceleration of the congressional drive to push this bill after the PH government succeeded in obtaining the $454 million “Millenium Challenge” from the Obama administration. President Aquino will doubtless present the SC ruling on the RH Law, together with the (signed or to be signed) "enchanced defense cooperation" (EDC) agreement on US forces' semi-permanent stationing in our country, as his two welcome gifts to the American President when he comes a-visiting on April 28-29. But the question is, will Obama rejoice and congratulate P-Noy heartily on the RH Law, considering that the double negative pronouncement by the SC on the law (“not unconstitutional”) reveals the magistrates’ sense of insecurity about their decision. Moreover, there were eight provisions in the RH Law that were ruled unconstitutional by the justices---as though to strike out a balance between political considerations and the dictates of conscience. In effect these deletions rendered the RH Law quite weak---so that they would hardly impress Obama. The common complaint of citizens yesterday to this particular double negative pronouncement of the SC was that it tended to confuse instead of elucidate. I agree, but I also suspect that this play of words was resorted to because majority of the justices really wanted in conscience to strike out the entire law as unconstitutional, but could not do so for political considerations. For instance, media reported how the four justices appointed by President Aquino consistently upheld all eight provisions (seven crucial sections in the main body and one provision in the implementing rules and regulations) that their colleagues deemed devoid of constitutional merit. The SC magistrates apparently tried to strike a balance by declaring as clearly unconstitutional eight provisions in the law and the IRR. In so doing, they sought to protect the “informed religious conscience” of the people, as CBCP President and Dagupan Archbishop Socrates Villegas termed it. Indeed, as a long-time SC watcher, I cannot recall any decision that struck down so many provisions, so that the law presented last Aug. 8 appeared toothless and de-fanged, as Sen. Pia Cayetano, one of the RH Law’s major proponents, termed it. A pyrrhic victory for the purple advocates. We have to hand it to the high magistrates, however, as theirs was an unenviably tough balancing act---especially for ponente Justice Jose Catral Mendoza, who comes from a family with deep Catholic roots (he has two priest-brothers). But it’s testimony to the pyrrhic nature of the SC's decision that both pros and antis are now poised to file motions for reconsideration within the prescribed period before the SC. Indeed the battle over this law is far from over. Macalintal asserts that the provisions struck out as unconstitutional clearly demonstrate the triumph of the Anti-RH group. He explains why: “The substantive issues as defined by the SC in its guidelines before the oral arguments and as enumerated by the Solicitor General were limited to whether or not certain provisions of the law violated the right to life and health; freedom of religion and speech; right to protection against hazardous products; rights of parents in caring for their children; and right of families to participate in family planning. “In resolving these issues, the SC practically said 'Yes', all these rights were violated." On the right to life and health protection against hazardous products, he argues that the “telling blow” against the RH Law was when the SC ruled that the word “abortifacient” does not only include contraceptives that “primarily induce abortion” but all contraceptives that have abortion as “secondary effect” as well. All these drugs will be illegal. "Thus, before the Department of Health could even purchase contraceptives for distribution to end-users, it has to prove that they do not induce abortion, whether primarily or secondarily." One might add that from hereon, the Anti-RH group could question any purchase if it has evidence that such contraceptives have abortion as primary or even secondary effect. At the hearings in the SC in November last year medical resource persons of the Pro-Life groups submitted written testimony about the abortifacient nature of many contraceptives, and this must have influenced the high magistrates . Thus, we can expect various Pro-Life groups to tightly screen the drugs that would be included in the National Drug Formulary as “contraceptives,” for their “abortifacient” qualities, and there are many such drugs. This aspect of the law has always been a major worry for this blogger, for testimony on the abortifacient nature of many contraceptives is thick, coming from informed UN agencies themselves; but pressures from the gigantic pharmaceutical companies have drowned out vehement objection to these drugs. The upheld RH Law changes all that. On the issue of freedom of religion and speech, lawyer Macalintal stresses that the SC decision pointed out that the law cannot penalize any health care provider who fails or refuses to disseminate information on artificial methods of birth control, nor any public officer, including local elective officials, who refuses or fails to support the RH program. But neither should he or she do any act that hinders its full implementation regardless of his or her religious beliefs. In fact, even medical schools owned by religious groups cannot be forced to provide family planning methods nor can medical practitioners be compelled to provide free RH services to be accredited by PhilHealth. On the right of parents to care for their children, the SC ruled that the RH Law cannot penalize a health service provider if he requires parental consent from a minor in non-emergency or serious conditions. Macalintal notes that this is a recognition of the right of parents to care for their children. The SC also decreed that minor-parents cannot be allowed access to RH methods without written consent from their own parents. Political commentator Ado Paglinawan agrees wholehearted that the SC “DILUTED THE RH LAW SO MUCH THAT IT WAS A WASTE OF VALUABLE GOVERNMENT TIME THAT CONGRESS EVEN PASSED IT AND AT THE COST TO THE PRESIDENTIAL PORK BARREl---JUST TO FAKE A VICTORY FOR BS AQUINO.